Welcome to Top Secret, the careers blog of the U.S. Intelligence Community. Subscribe to learn more about IC careers, meet the men and women of the IC community, and learn more about what U.S. intelligence agencies contribute to the safety and security of our nation. In many companies, the phrase “career development program” translates to a lineup of classes that employees can use to enhance existing skills or to pick up new ones. At the National Security Agency (NSA), a development program is much more than a set number of classes on a specific topic. It’s a paid, full-time job that is fully integrated with training. In other words, it’s your job to be trained in different aspects of your career specialty while you work in numerous offices within the agency over a 3-year-period, though some programs can last up to five years. “You come on board with us as any other employee, you’re trained, and you essentially get a chance to rotate throughout different organizations,” says Ms. Reese with NSA, who hosted a webinar on the agency’s development programs last October. A development program is a chance to not only expand your skill set, but also “identify for yourself what you’re really good at,” says Reese. For instance, a computer science major could decide to specialize in cybersecurity vs. software development, breaking that specialty down even further to network exploitation. There are also opportunities to work outside the Baltimore/Washington, D.C., area at one of NSA’s cryptologic centers in Georgia, Colorado, Texas or Hawaii. The programs are designed for entry- to mid-level professionals and carry the same benefits afforded to the rest of the NSA workforce, including relocation assistance, federal health and life insurance plans, paid time off and even more opportunities to grow professionally. “In addition to the built-in training, we also offer tons of coaching as well as mentorship opportunities,” says Reese. 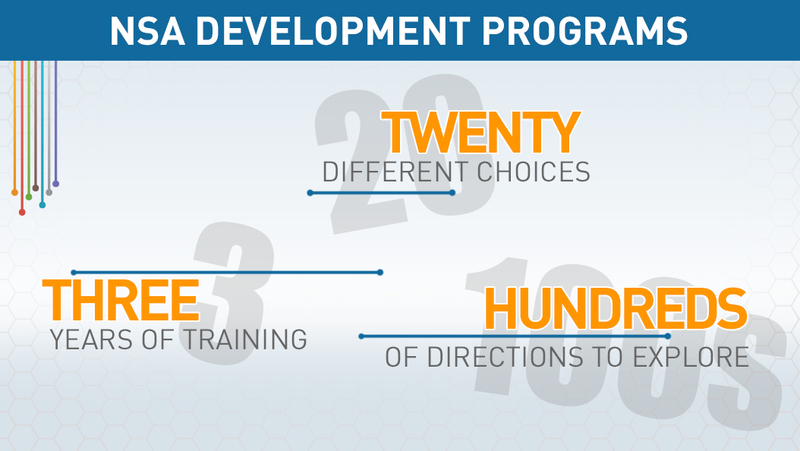 Currently, NSA offers 20 different development programs. There are four for business majors, two that focus on analytical fields for social sciences majors, and the rest rely heavily on STEM skills like systems engineering, radio frequency design, math and big data processing, just to name a few. Reese’s advice to applicants is to visit NSA’s development programs page to read up on each program’s description, which also provides a job title that they can search for on NSA’s job application portal for additional details. When applying for a job, candidates should specify that they are interested in a development program in that particular field, she says. Another source Reese recommends for more general career recommendations is the online Job Exploration Tool, where users can input their skills, interests and experience to determine which career fields within the U.S. Intelligence Community are best suited to them. Just like it takes a variety of skills to build a successful business, it takes a variety of talent to operate a world-class intelligence agency. Technical skills sometimes get all the glory because tech is the core of NSA, and the agency hires technical professionals in a wide variety of fields. But tech alone cannot accomplish the mission. Intelligence professionals analyze raw information to establish critical insights on world affairs for the country’s decision makers. It takes a sharp mind, attention to detail and the ability to analyze large sets of information from a variety of sources. Intelligence analysts hone skills in critical thinking and learn how to avoid cognitive traps that can negatively affect outcomes. As an intelligence analyst, you create a clear picture of what’s happening in different parts of the world and why. But most importantly, you make predictions on what may happen next. Sample College Majors: Liberal arts (political science, international relations, English, history, languages and cultures) are preferred, but any degree is acceptable. Those with technical skillsets are strongly encouraged to apply. Foreign language analysts are the link between foreign cultures and NSA. They are experts – or near experts – in at least one foreign language and understand nuances of regional dialect and context. Foreign language analysts translate a foreign language accurately, provide transcriptions, analyze text in context of regional and world events, and write reports on the findings. Command of the foreign language may come from English speakers with an education in foreign language or from native speakers of the language. NSA is an organization on par with many Fortune 100 companies. Business professionals, therefore, are the fuel behind the intelligence machine. They plan budgets, allocate resources, account for expenditures, manage contracts and make sure each mission program has what it needs to succeed. The business of intelligence requires experts in accounting, finance, economics, business administration and business management. Many entry-level business professionals are hired into the business development program, a full-time, paid program featuring rotational tours in different agency offices. Security and counterintelligence professionals keep NSA employees and classified information safe from external threats. From those who patrol our guarded gates to others who investigate insider threats, security and counterintelligence are critical to the smooth operation of intelligence. NSA professionals in every career field sharpen their skills and update their professional knowledge through education and training programs, which means the agency needs education professionals to plan curriculum, design courses and instruct. Education professionals are key resources to all agency professionals, helping us stay at the very top of our game. For more information on these career fields and 12 more, see the NSA Careers page, and then check out more about the application process. 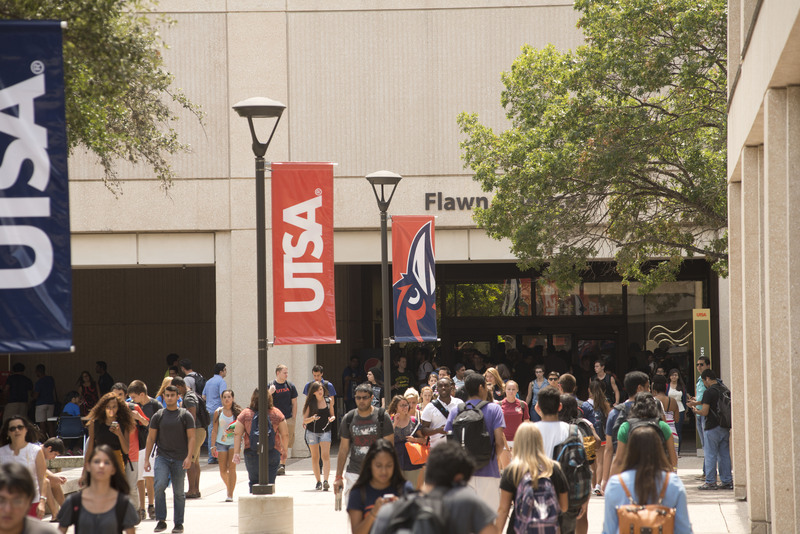 To celebrate the partnership, NSA has named UTSA a Featured School and will be highlighting the collaboration on NSA.gov, Intelligence Careers.gov and on social media beginning March 20. Tactical cyber operations can be defined as computer-mediated combat. Like confronting a foe in a video game, tactical cyber operators must think quickly, act decisively and remain alert to the aggressor’s next surprise attack. Except, tactical cyber operations are never games. They are high-risk, real-world operations with tangible consequences. Dr. Celeste Lyn Paul, who is not a cyber operator, is more familiar with the stress of cyber operations than most. She is a senior researcher and technical advisor for computer and analytic sciences research at NSA, a place where cyber operations are a 24/7 concern. As a research scientist with a Ph.D. in human-centered computing, Dr. Paul is most interested not in the mathematics of cryptography or the deep logic of code, but in human factors that are inextricably intertwined with tech. She and colleagues have been busy researching the effects of cyber operations on the people who conduct the operations, the tactical operators who engage daily in the martial arts of virtual conflict. Through her research, Dr. Paul helps NSA understand who is best suited for tactical cyber operations careers, how they can be better trained and how the agency can structure policy to make sure tactical operators perform to the best of their ability. But that’s just a start. By reaching out beyond the gates of NSA, the agency’s research professionals help to improve cyber operations everywhere, whether that’s in the federal government or within the cybersecurity headquarters of industry-leading commercial companies. While Dr. Paul relishes the opportunity to share work with industry, it’s NSA and the mission that compel her to ask the questions that evolve into further research. Her work includes frequent collaboration with “the most brilliant and creative people in the country,” all from a variety of academic fields: mathematicians, computer scientists, psychologists, linguists, political scientists, economists and even an archeologist. Surrounded by an uncommon breadth and depth of expertise, Dr. Paul works to uncover the hidden confluence of people and technology in a world more reliant on – and exposed to – human-computer mediation. To find a research position with NSA in your field, visit our job listings and filter for NSA. 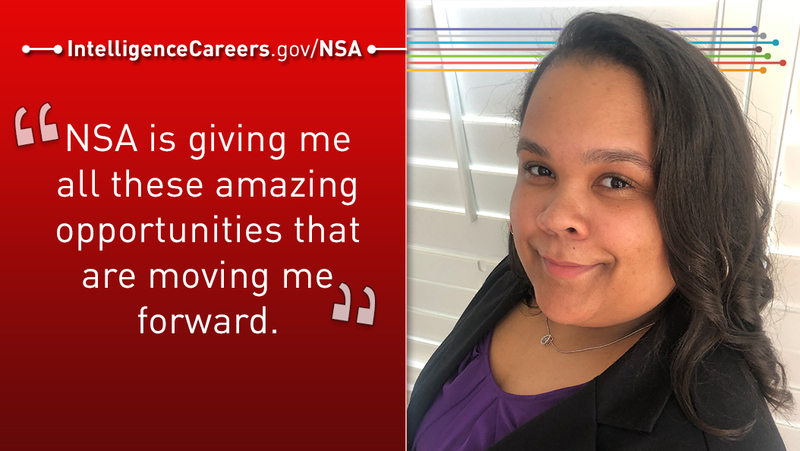 Couriel B. came to NSA three years ago fresh out of grad school without a crystal clear idea of what she wanted to do with her career. An economics major who focused on public policy with an emphasis on public sector financial management, she was looking to work at a government agency or a government contracting firm. That’s where NSA’s business development programs fit the bill perfectly. They give business-minded professionals the opportunity to run an organization as large as a Fortune 100 company, while granting them the freedom to move from one area of expertise to the next. Rather than working in a specific role in a specific office (NSA has plenty of these opportunities, too), development programs offer something a little different. They are full-time paid positions, combined with training, that give entry-level employees the chance to try different jobs within the agency. Program participants rotate through three different offices within the Business Management and Acquisition (BM&A) Directorate over a three-year period. When they’re done with the rotations, they are required to work within BM&A for two years. After that, they can go almost anywhere at NSA. While her skill set was a match for all four of NSA’s business development programs, Couriel chose the Business Financial Manager program. During her first two years on the job, she focused on current year execution and budget planning. Now, in her last rotation, she’s tackling business systems and data analysis to bolster her technical knowledge. Couriel finds variety in her work in other capacities, too. She is a recruiter for business positions at the agency and an instructor at NSA’s internal National Cryptologic School, which, despite its name, is not limited to codebreaking or strictly technical subjects. She teaches a class in communications and resume writing. At recruiting events, she’s happy to inform students who are double majoring in business and a technical field like computer science that there’s a place for them, too, within the BM&A organization. That’s because it helps to have an understanding of the technology required by the mission and the business knowledge of how to fund it, she says. Couriel is also taking advantage of opportunities to further her education outside her development program. She’s in a master’s program for applied economics, and, better yet, NSA is paying for both classes she’s submitted for approval so far. NSA’s commitment to work/life balance was another deciding factor when it came to weighing her career options. Besides flexible schedules and generous leave policies, another draw for many who work at NSA is the satisfaction of contributing to the mission of protecting the country. Employees in business roles ensure that mission objectives are properly prioritized and funded. Above all, Couriel likes that her job is about problem solving, and she’s using her background and everything she’s learned on the job to do just that. To learn more about the agency’s business jobs, internship and development programs, see NSA’s Business Careers page. It’s brand new! If you’re a software developer, the highly classified environment of the National Security Agency is a cool place to work, but until recently, it wasn’t a place where public sharing was actively encouraged (to say the least). 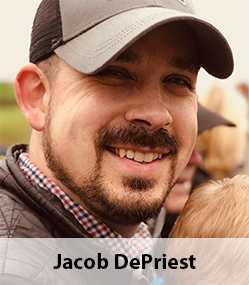 Enter Jacob DePriest and his band of open source evangelists. “We want to share and publish what we’re doing, we want to partner, we want to learn what other big organizations are doing to see if we can improve things,” DePriest told a crowd of open source enthusiasts at the 2018 OSCON conference in Portland, Oregon. He and others at the agency are off to a good start. Visit code.nsa.gov and you’ll find more than 40 NSA contributions to open source, including work in data distribution, orchestration frameworks, the cloud and software defined radio. You can jump from there to NSA’s GitHub site and dig into the fine-grained details of projects that used to live only in the shadows. It hasn’t been easy to ease the world’s most secretive signals intelligence agency into the bright lights of open source. National security, of course, relies on the power of classification to keep important software innovations away from the peeping eyes of foreign adversaries. But the truth is, some of the innovations behind the fortified gates of NSA can also benefit the OSS community and private sector, and NSA can benefit from the sharp eyes of private industry developers. Many of the biggest technical innovations of the past few years have evolved as OSS projects, and NSA developers not only want to be a part of that, they have a lot to offer. One of the first challenges was how to let NSA developers contribute to the open source work of others. Traditionally, any code written at NSA went through a lengthy approval process before it could be viewed by outside eyes. But DePriest and his colleagues were able to reduce the length of the approval process from weeks to hours, in the simple cases. Next was developing a model that lets NSA developers share NSA projects and engage with outside developers to move the work forward. One of the reasons DePriest champions open source so passionately is because he knows that many serious developers love open source work, and he wants those developers to join NSA, contribute to national security AND engage with the open source community. One example that set the course for NSA’s entry into open source several years ago was Security Enhanced (SE) Linux, which helps to mitigate the risk posed by flawed and malicious applications. NSA released SE Linux in 2000, it was accepted into the Linux kernel in 2003 and included in Red Hat Enterprise Linux in 2005. NSA released SE for Android in 2012, and it was adopted by Android in 2013. As of this year, DePriest said, more than 84 percent of Android devices benefit from SE Linux. Moving forward, DePriest is creating an internal OSS Center to further enable developers to collaborate with the OSS community. This enduring team will be responsible for streamlining processes, providing tools and managing the resources needed to be an active participant in the OSS world. Check out NSA’s code on GitHub and jump over to our application page to learn how you can write code for national security that might just make its way into the commercial market. The National Geospatial-Intelligence Agency and National Security Agency are now accepting applications through a new and improved application tool that makes the process smarter, faster and better. The new tool features an improved user experience, which makes searching for a job and filling out the application easier and more intuitive than ever before. You can save your favorite postings, and the tool will keep them at your fingertips. You can now upload all required documents as attachments, a convenient improvement that expedites the application process. Improved uptime will allow you to apply anytime, day or night. Mobile users can now complete the application on your preferred mobile device (yeah!). On-screen help icons and a quick guide are available to assist you through your first visit and answer questions before you even ask! As before, applicants can search for open positions and submit applications to NGA, NSA or both. If you would like to share your resume with both agencies, you can do so with the click of a button. In the new year, we have even more improvements coming your way. More Intelligence Community agencies will be using the tool, which means you will have a single portal for a wide array of jobs in the IC. And coming soon is a new feature that tracks where applicants are in the process, which means you will be able to check your application status quickly and easily. The Intelligence Community is working to improve our offering and ensure a simple and intuitive experience. Please visit our new tool today and let us know what you think! “N.C. A&T contributes to the diversity of our workforce and provides degree programs that are comprehensive, multidisciplinary and relevant to our mission,” said George C. Barnes, Deputy Director of NSA. 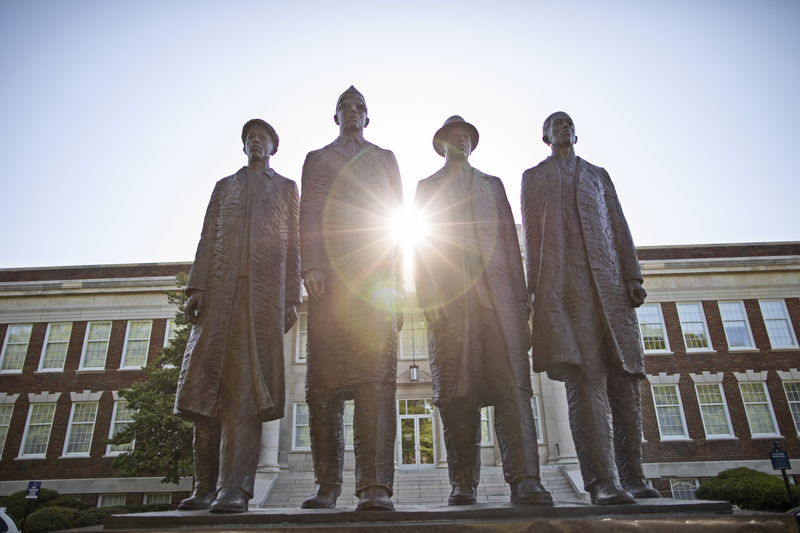 To celebrate its partnership, NSA has named N.C. A&T a Featured School. The Featured School Series highlights colleges and universities that help develop the talent and tools needed to meet national security challenges. The collaboration between NSA and N.C. A&T is being highlighted on NSA.gov, IntelligenceCareers.gov and on social media. N.C. A&T has been a National Center of Excellence (CAE) for eight years, promoting higher education and research in the critical area of cyber defense. The school is also one of 16 colleges and universities across the country in NSA’s hiring and recruitment Campus Ambassador Program (CAP), which serves to build and strengthen relationships with select universities. Further, N.C. A&T hosted two GenCyber Camps in 2018 sponsored by NSA and the National Science Foundation, providing free summer cybersecurity experiences for students and teachers at the K-12 level. Currently, NSA hires more N.C. A&T grads than any other agency in the Intelligence Community, and nearly 70 N.C. A&T alumni work at the Agency. “Academic partnerships are so vital to national security that NSA invests more than $100 million annually in support of academic partner programs, including educational grants, research and recruitment efforts,” Barnes said. NSA aims to introduce a new featured school every few months, highlighting schools designated as Centers of Academic Excellence (CAE) that have a depth and breadth of engagement with NSA. The series will also have a presence on NSA.gov and will be featured on social media. Desmond J. is a Technical Director at the National Security Agency, where he’s worked for 21 years. 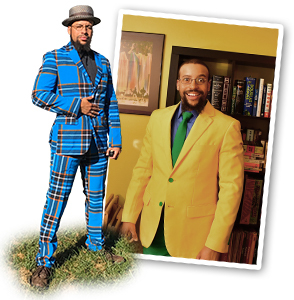 Fond of hiking, target shooting, comic books, outrageously colorful attire and food so spicy it’ll melt your face off, he gives us a taste of what makes him tick, inside and outside the NSA fence line in this Q&A. Toss-up between Forever Carlyle from the comic series “Lazarus” and Squirrel Girl. Forever isn’t really a superhero per se ... but she’s close enough and I want to be her when I grow up. Squirrel Girl is literally unbeatable. She solves problems creatively and with a clever humor I’d love to emulate. What even is a sport? To me, extreme ironing is a sport I’ve tried and would like to do more of. Ironing my clothes is a relaxing and fundamental life task for me. Combining my love of ironing with my love of unnecessary risk … if you see me out in the Emerson 6 parking lot ironing a crisp crease into my jeans on top of a moving car, just give me an approving wave and a nod. I assure you, I don’t feel guilty about any of the things that bring me pleasure. That said, I have been known to gorge myself on delicious Phall curry (or similar spicy South Asian dish). If food isn’t face-meltingly, scrumptiously spicy, why even bother eating it? Mountains, hands-down. I’ve been known to walk along the glistening, turtle-filled beaches of Hawaii while wearing loafers so as not to get sand, sea creatures and other ocean waste all up in between my toes. Mountains are glorious and full of crisp air, great hikes and freedom. Also goats. So many goats. Do you whistle or sing along? Sing along. Good music is one of my passions. When I feel the need to burst into song, I gotta let it out. Like a volcano erupting with discordant warblings. Cake. I’ve been known to even eat cake that’s been sitting out, exposed to fetid basement air for a week (absorbing all that nummy basement goodness!). Well-aged cake is like a fine aged wine (probably). “Strive for a life-work balance, not a work-life balance. Life/family comes first, work will always be here, your life/family will not.” I very much enjoy my work and the folks I work with, but living a good, meaningful life comes first. Homer J. Simpson. Learned a lot of patterns and (many, many) anti-patterns from that fictional dude and his family. Hard to nail down just one. But if I must choose, I’ll go with the time(s) my friends and I would hang out in the sewers underneath the Fort Meade Commissary and scare people in the parking lot by shouting random things from the storm drain. Definitely good for a laugh, and no one got hurt from us pretending to be Teenage Mutant Ninja Turtles and/or sewer rats. Whatever science class I had during a given semester was my favorite class. Entertaining dissections in biology and zoology, working with dangerous and tasty chemicals in chemistry, running perplexing experiments in physics ... lots of fascinating goings-on that I found a very stimulating part of my school day. “East of West Vol. 8” by Jonathan Hickman and Nick Dragotta. It is a comic book series based on an alternative version of post-Civil War America involving the Four Horsemen of the Apocalypse, mad prophets and technocracies. Definitely worth a read! Outside of technical books, I read a lot of comics (I keep a little lending library of trippy comics in my desk at work for those interested in giving some a try). I can run (successfully!) in 4-inch heels. Typically, I pop out of bed around 0500 or before, hydrate, then do a little morning exercise while watching YouTube videos (ones on science, geek news or history, usually). After I get myself together, I head to work blasting some podcast (on politics, comics, or horror, usually) or blasting abrasive metal/punk/drum and bass music. This continues at my desk at work before a lot of other folks show up (and even after, if I’m honest). Helps get my inner juices flowing and energizes me to start the day! Lots of things! I drag my family with me to a lot of things. Hike various trails (parts of Patapsco Valley State Park usually, but I go all over the place). Hit up art and cultural museums in Baltimore and D.C. (the Baltimore Museum of Art, Walters Art Museum, American Visionary Art Museum and the National Gallery of Art are some of my faves). Visit parks and greenspaces (U.S. Botanic Garden and the Rawlings Conservatory are haunts of mine). Take lots and lots of pictures. Hang out in gorgeous graveyards (the Green Mount Cemetery in Baltimore is a favorite). Shoot lots of guns and train others to shoot the aforementioned lots of guns. (I’m a certified trainer and range safety officer). Break computers. Play games (board, computer, role playing, card, etc.). Read piles of comics. Hang out and argue with friends. Where do you stand on chocolate-covered bacon? First off, I wouldn’t stand on bacon, chocolate-covered or otherwise. Bacon's rightful home is in my belly. Now and forever. I’d eat that chocolate-covered bacon. Do you have any to offer? I’d like some, please. If you were not working here, where would you be? Street prophet. Standing on the corner preaching about the glorious ways of Cthulhu to anyone who passes by. Iä! Iä! Cthulhu fhtagn! If you would never gain weight, what would you eat? I would attach a fire hose to a tanker truck to deliver an endless stream of stroopwafels, wiener schnitzel, Carolina Reaper-infused Phall curries, home-fried potatoes, lemon meringue pie and naan directly into my mouth. I’d need to be able to take this deliciousness-as-a-service truck with me wherever I go. At NSA we believe life outside of work should be just as fulfilling as what you do inside the office. If you like to work on challenging projects and still have time for hobbies, family and friends, join our team. 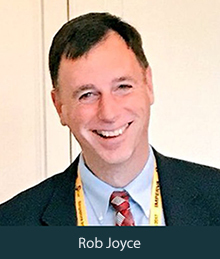 NSA Cyber Expert Says Nation-States Have Brought the War to U.S.
NSA cybersecurity expert Rob Joyce knows what it takes to fight the good fight in the cyber realm. As a 29-year NSA veteran who spent 14 months at the White House advising on cybersecurity policy, Joyce has watched technology evolve and threats escalate. The one thing we must do, he says, is never sit still. Joyce outlined the cybersecurity landscape and what it takes to stay ahead during a presentation at Def Con 26 in Las Vegas this past summer. He told the assembled hackers, security professionals, students and journalists that his work at NSA provides meaning far beyond a paycheck. Most alarming to Joyce is not the technology behind cyberattacks, but the intent. In the past, he said, most cyber actors were trying to steal secrets. Today, the most sophisticated attacks are perpetrated by nation-states trying to impose national power on American soil. The most obvious example is Russia’s use of cyber tools to run an information operation aimed directly at the U.S. election system. But cyber actors are expanding the scope of attempts to include a wide array of activities that has the potential to disrupt our way of life. “Whether it’s trying to influence our elections or intrude on the safety systems of industrial plants, that’s something we as a community have to rally against,” he says. 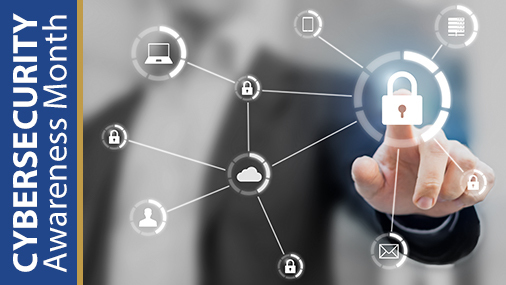 While the intent of these attacks is shifting, the technological landscape is evolving, too. New, sophisticated Internet tools make it possible for actors with lower levels of technical expertise to launch sophisticated attacks. The barriers to entry, in other words, are dropping. In that environment, Joyce says, it’s important for the federal government and the private sector to work together to create an “asymmetric advantage” in the face of evolving threats. Private industry brings knowledge to the table that the government does not, he says. Joyce says the creativity and passion of the Def Con crowd is just what NSA needs to stay ahead of the threat. How to Apply to NSA. Watch Rob Joyce’s full presentation on YouTube. If you’re looking for money for college, real world paid work experience during your summers, and a guaranteed job after graduation, there’s no better deal than the National Security Agency’s Stokes Educational Scholarship Program. The Stokes Scholarship is open to high-performing high school seniors, particularly minorities, who plan to pursue degrees in Computer Science or Computer/Electrical Engineering. You’ll receive up to $30K in tuition assistance and education fees per academic year while attending school full-time. Plus, you’ll earn an annual salary of about $21K while you work in your field of study during your summers at NSA headquarters, conveniently located close to the excitement and cultural attractions of the nation’s capital and a booming technology corridor. The work is all tied to NSA’s mission of protecting the nation, says Program Manager Lora Ard Hornage. Even better, once you graduate college, you’ll have a job waiting for you at NSA. You’ll be required to work at the agency for at least one-and-a-half times your length of study upon graduation. Plus, the people you’ll meet add to the experience, says Ard Hornage. “The Stokes program is kind of like a community,” she says. Besides building bonds with their peers in the program, students are assigned their own mentors and have a Stokes Peer Advisory Board comprised of recent Stokes graduates that they can go to for any questions or help. You’ll want to act fast because the scholarship application deadline is coming up soon. Apply online for the Stokes Education Scholarship Program (Job ID 30001061) by Nov. 15, 2018. *Program and benefits subject to change. Got burning questions about what it’s like to work at the National Security Agency? Now’s your chance to get answers from real NSA employees. Throughout October, agency employees are going live on the Internet to talk about student program and career opportunities as well as diversity. You’re welcome to join in the conversation by asking questions during these NSALive webinars. All you have to do is register for any or all of these events by clicking on the links below. Seats are limited, so don’t put it off! Full-Time Technical Development Programs: Find Your Best Fit at NSA! Development Programs at NSA are full-time, entry-level jobs combined with rotational tours in several offices so you can sharpen your skills and improve your understanding of specific disciplines. NSA offers more than a dozen programs in technical fields. Learn more about these fantastic opportunities. At NSA you can help run an organization larger than most Fortune 500 companies. Find out how your skills in accounting, finance, contracting, program management and more can help protect the nation. It takes creativity and different perspectives to solve some of the world’s most difficult problems. Join us to learn what it’s like to work in an organization that prizes diversity as a strategic asset. NSA College Programs: One Final Chance! Find out all you need to know about our summer 2019 internships and co-op program, and if you haven’t already applied, you’ll need to act fast. The deadline for some programs is Oct. 15, and the rest stop taking applications on Oct. 31. 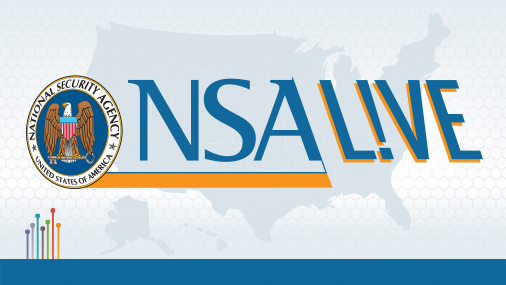 Follow NSA on Facebook and LinkedIn for the latest updates on NSALive webinars and other career news. First in a new Featured School Series recognizing academic partnerships that support national security. Specialized cyber classes, joint technology research labs, and career opportunities for students are just a few of the benefits of the National Security Agency’s (NSA) investment in strong partnerships with colleges and universities. NSA is celebrating these partnerships with a new Featured School Series campaign on NSA.gov that will highlight schools that help develop the talent and tools needed to meet national security challenges. Academic partnerships are so vital to national security that NSA invests more than $100 million annually in support of academic partner programs, including educational grants, research and recruitment efforts. The University of Maryland, Baltimore County (UMBC) is the first to be featured. The series’ first installment highlights facts about NSA’s partnership with UMBC – such as the 1,100 plus NSA employees with UMBC degrees. The Featured Schools page for UMBC also includes several profiles on those with interesting connections to both institutions – such as Darniet Jennings, whose groundbreaking work begun in college led to a patent once he came to NSA. UMBC and NSA’s partnership helps provide students the skills they need to be successful for the workforce of tomorrow in science, technology, engineering, math and cyber fields. Collaborations such as this also help to develop curriculum for rapidly-growing career fields such as cybersecurity and expand innovative research opportunities. UMBC has more than 14,000 square feet of NSA research space on campus. NSA aims to introduce a new featured school every few months, highlighting schools designated as Centers of Academic Excellence (CAE) that have a depth and breadth of engagement with NSA. The series will also have a presence on IntelligenceCareers.gov and will be featured on social media. “We really value our exemplary relationship with UMBC and all of our academic partners and look forward to highlighting the many colleges and universities we partner with in the upcoming months and years,” said Kathy Hutson, Senior Strategist for Academic Engagement. The National Security Agency is hosting a webinar on June 19 to talk about careers in foreign language and intelligence analysis. Register now to learn all about these exciting, in-demand positions at NSA. In the meantime, we asked an NSA hiring manager for a sneak preview and for his insights on what sets NSA apart as an employer. Q. What made you decide to do this webinar? A. We need to get the word out! Intelligence Analysts and Language Analysts are at the center of the action at NSA. We are particularly interested in finding foreign language professionals who read and listen at high levels. We'd like to see candidates with at least ILR 2/2 but preferably 2+/2+ or 3/3 as described on this website, in addition to knowledge of specific cultures, regions, politics, military issues, etc. If your readers qualify, they should definitely attend the webinar and consider a career with us. Q. What kinds of opportunities does NSA offer in Foreign Language and Foreign Language Analysis? A. We have all kinds of opportunities. Language professionals at NSA can be Multi-Disciplined Language Analysts (MDLAs), language instructors, scientific linguists and more. Of these, the MDLA work role is by far the largest, in terms of numbers. If you are highly proficient in a foreign language, you could spend your entire career at NSA and never get bored. Q. Is NSA looking for specific languages? A. Yes. Arabic, Chinese, Russian, Farsi and Korean are in high demand, but we also hire for other languages depending on needs. Less commonly taught languages in Africa and South Asia and languages related to the global war on terror are also of interest. Q. Applicants need to be proficient in a critical-need language, but not necessarily majoring in it, correct? A. Correct! As long as the applicants’ reading and listening levels are high, a foreign language degree is not required. In reality, additional fields of study only add to the total package. We are interested in STEM majors, in addition to political science, international relations, foreign affairs, military studies, security issues and related disciplines. Excellent English writing skills are important, and oral communication skills are a plus too. Technical skills (software, applications) are increasingly important, although applicants don’t need to be technology experts to apply. Q. Intelligence Analysis at NSA is a similar field, right? A. For the most part, yes. Intelligence Analysts (IAs) and Language Analysts (LAs or MDLAs) can have significant overlap. They both are heavily involved in producing foreign intelligence reports, but they may have different focus areas tied to their strengths. For example, an IA may be more focused on either report writing or enhancing the technical health of a given mission, while an LA may be more focused on locating, transcribing and translating foreign information. LAs write reports in some offices; in others, they team with IAs who draft the reports based on the LAs’ transcripts and translations. Q. NSA offers something called development programs. What can you tell us about those opportunities? A. There are development programs for both IAs and LAs: The Intelligence Analysis Development Program (IADP) and the Language Analysis Development Program (LADP). These are full-time, paid positions. That’s important to stress. If you’re in a development program, it is a full-time, paid job, where you get paid to learn and contribute. 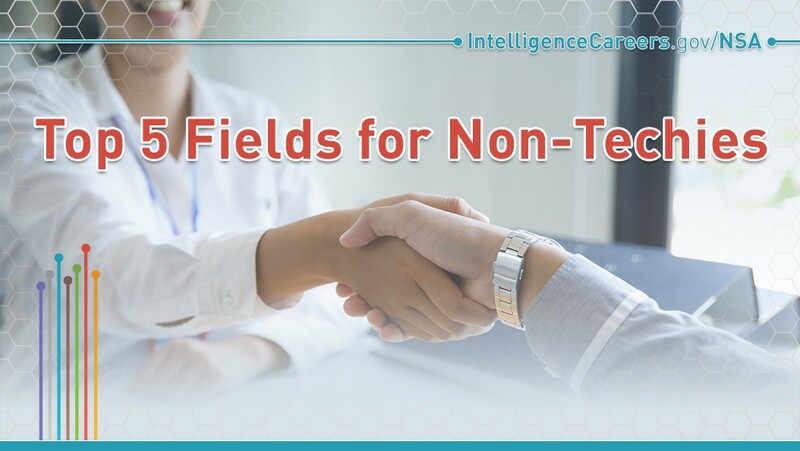 In most cases, new hires without extensive experience begin in one of these programs and complete tours in a variety of offices over a three-year period. During this time, they also usually take classes and complete coursework to enhance their skill sets. We also have internships available in both fields, the Intelligence Analysis Summer Program and the Summer Language Program. In fact, we’re taking applications right now for summer 2019. Q. What makes working at NSA different than working elsewhere? A. Many things! The first is mission impact. You will directly contribute to national security as you improve the competitive edge of U.S. policy makers and warfighters. Second is work/life balance. With a flexible schedule, a 40-hour workweek and generous leave policies, you will have a healthy personal life while simultaneously serving our nation. Third, you will be intellectually challenged. As the unintended recipients of often complex written and aural communications, you will put the puzzle pieces together and crack the linguistic codes. It’s an exciting, stimulating and challenging way to build a career. Fourth, NSA will invest in you. With considerable training in language, area studies and technology at your disposal, you will have countless opportunities to enhance your knowledge, skills and abilities. Finally, and maybe most important, you will have many opportunities to grow your career. In addition to working a variety of missions, Language Analysts and Intelligence Analysts have the opportunity to diversify their portfolios by teaching, briefing, advising, mentoring, partnering and doing tours with other agencies. Overseas assignments are also options for those who like to travel outside of the United States. Don’t miss the June 19 webinar on careers in intelligence and language analysis at NSA. Register now, get it on your calendar and talk to you soon! Imagine if, during a conversation at work about what you did over the weekend, you felt forced to leave out details for fear of exposing yourself as “different” or “other,” in other words, not heterosexual like so many of your co-workers. This idea of “covering” or “passing” – having to stay closeted for fear of losing one’s job was widespread well into the 1990s in almost any pocket of the country, including the U.S. Intelligence Community (IC). Two decades later and the atmosphere at the IC couldn’t be more different than those days. Today, the IC strives to be a leader in workplace equality for people in the lesbian, gay, bisexual and transgender community and their allies (LGBTA). IC Pride, the employee resource group for LGBTA members across the 17-agency strong Intelligence Community, was named 2017's Employee Resource Group of the Year by Out & Equal Workplace Advocates, a nonprofit organization dedicated to achieving global lesbian, gay, bisexual, and transgender workplace equality. Officially established in 2011, IC Pride beat out peer groups in the Fortune 500 for this award. IC Pride is noted for developing transgender employee guidelines and ally training modules for executive leaders, as well as its participation in public forums designed to raise awareness that the IC welcomes LGBT employees. 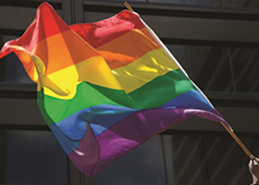 IC Pride can trace its roots to the first LGBT employee resource group within the IC – the Agency Network of Gay and Lesbian Employees (ANGLE), which started at CIA in 1996. This was shortly after President Bill Clinton signed an executive order in 1995 prohibiting discrimination in granting access to classified information based on sexual orientation. Over the years since then, IC agencies have formed many LGBTA employee resource groups and special emphasis groups that serve not only as communities of support, but as agents of change by hosting panel discussions and training events that help build awareness of the challenges the LGBT community faces. 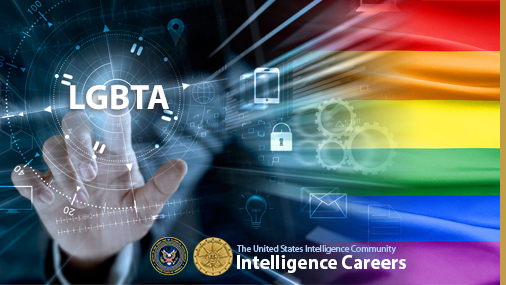 The Intelligence Community has celebrated LGBT equality by organizing a Pride Summit annually since 2011, and actively recruits LGBT employees and students at events like D.C. Pride and the Out in Science, Technology, Engineering and Mathematics (oSTEM) National Conference. A complete 180-degree turn from the days of “Don’t Ask, Don’t Tell,” the Intelligence Community champions today’s “Please Join Us” era. To defeat diverse threats, the perspectives of human beings of all sexualities, genders, races and life experiences are imperative. For more on diversity and inclusion policies at IC agencies, visit the Diversity pages of the Defense Intelligence Agency, Office of the Director of National Intelligence, National Geospatial-Intelligence Agency and National Security Agency. In the first post on How to Think Like an Intelligence Analyst, we explored mental models and how they color our judgment. In this post, we look at how to structure critical thinking and analysis to avoid mental model pitfalls. To summarize the last post, when faced with competing hypotheses, we tend to confirm the viewpoint that we intuitively think is correct, then we look for evidence to support it. As evidence accumulates, we become even more convinced that we are right and more resistant to evidence that suggests we are wrong. This mental dynamic, when it happens in our day-to-day lives, can lead to poor judgments. When it happens in the context of intelligence analysis, it can have global repercussions. The antidote is structured critical thinking. The U.S. Intelligence Community offers extensive training to intelligence analysts to help them improve performance. If you’re interested in a career in intelligence analysis, or even if you just want to improve your critical thinking skills, here’s a few details on one highly effective approach. Identify competing hypotheses – many of them. When attempting to identify the most likely explanation for, or outcome of, a situation, one of the most important steps is the first one. You will never identify a correct hypothesis if the hypothesis never sees the light of day. Intelligence analysts are encouraged to involve many analysts with different backgrounds and perspectives in the development of hypotheses, in what amounts to a directed brainstorm session. Make a list of significant evidence to be considered. These are the facts of the case, in addition to your assumptions and logical deductions. Be careful not to seek evidence just to prove your favorite theory. When you have a list, ask one additional question: If a hypothesis were true or untrue, what evidence would I expect to see? That question opens your mind to additional information and evidence. It’s also important to note the absence of evidence, which in itself can be evidence. Identify whether evidence is consistent or inconsistent with each hypothesis. This is where we ask whether each piece of evidence is relevant to a hypothesis, whether supporting or disproving. Consistent evidence has a bearing on the hypothesis. Inconsistent evidence does not. It’s helpful at this point to create a matrix with evidence in the left-hand column and hypotheses across the top row. Mark in each cell whether the evidence is consistent or inconsistent. Consider one piece of evidence against each hypothesis before moving on to the next piece of evidence. Is Evidence 1 consistent with Hypothesis 1? Is Evidence 1 consistent with Hypothesis 2? Is Evidence 1 consistent with Hypothesis 3? Refine matrix and reconsider hypotheses. After taking a good look at how the evidence relates to the hypotheses, do you need to refine the matrix? Revise a hypothesis? If we have evidence listed that is inconsistent with all hypotheses, the evidence can be deleted because it lends no diagnostic value to the inquiry. Draw conclusions about the likelihood of each hypothesis. Now we evaluate each hypothesis according to the evidence, working down each hypothesis column. The counterintuitive part of this step is: Instead of working to prove the hypotheses, work to disprove them. In most cases, the favored hypothesis will be the one with the least evidence against it, not the one with the most evidence for it. Analyze how sensitive your conclusions are based on a few pieces of critical evidence. Now comes the acid test. Are any of your favored hypotheses heavily reliant on a few critical pieces of evidence? If so, what happens to the hypothesis if the evidence is wrong, misleading or subject to interpretation? Foreign actors will produce deliberately misleading information for the United States to find. Is there a motive, opportunity and benefit for a foreign actor to plant false information? Report conclusions, analyzing the likelihood of each. Intelligence analysts report findings to policy makers. It’s important to communicate that analytical judgments are never certain. They carry different degrees of probabilities, and those probabilities must be communicated. Identify milestones for future observations. No judgment can be considered final. Circumstances change. New information becomes available. As the analysis wraps up, it’s critical to indicate which evidence to keep an eye on in the future. Ask yourself, what change in evidence would cause you to change your judgment? By analyzing issues within the structure above, you’ll be taking the first step in overcoming the problems of mental models. You’ll be engaging critical thinking skills that will lead to the most plausible outcomes. And you’ll be on your way to thinking like a United States Intelligence Analyst. 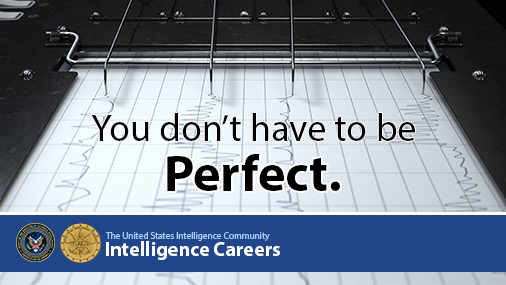 To explore intelligence analyst jobs in the intelligence community, start here. We all like to think we make logical decisions. After all, if we decide an issue, our conclusion makes sense to us, or else we would not have come to that conclusion, right? On top of that, when we learn that others have looked at the same issue and come to a different conclusion, what do we do? If we’re being honest, most of us will think the others are wrong and immediately look for evidence to prove it. The truth is, we are all susceptible to shoddy thinking. In fact, the intellectual processes that have helped the human race to grow and prosper are the same processes that leave us susceptible to poor judgment. Those are the processes the intelligence analyst must leave behind. Intelligence analysts put the puzzle together. They analyze information from various sources to try to understand what U.S. adversaries are doing and what they are likely to do next. Critical thinking is the key to success. The problem is that not many of us know how to think critically. David T. Moore, an IC professional and author of “Critical Thinking and Intelligence Analysis,” contends that critical thinking is not taught in many college courses, despite the fact that many syllabi list “critical thinking” as an objective. The closest students come to critical thinking, Moore says, is usually the scientific method. Otherwise, students in non-science majors are unlikely to have the training they need to be successful. That’s because what is taught in schools most often is advocacy, the art of arguing to prove a point. Starting in secondary school, we are taught to develop a thesis and “prove” it through argumentation. Unfortunately, advocacy reinforces some of the mental processes that make critical thinking so challenging, such as selectively seeking information that confirms our point of view. And we may not even be aware that we’re doing it. Our minds are full of information that we’ve accumulated over the years, from childhood through today. Our brains do a wonderful job of using that information to create mental models of the world. We use those mental models daily to make decisions about life. They provide an intellectual shortcut that highly useful in getting through the day. But they have a dark side. Richards J. Heuer, author of “Psychology of Intelligence Analysis,” explains that mental models often color and control our perception of events to such a large extent that we can’t truly see what is happening in front of us. In other words, we tend to perceive what we expect to perceive. Take a look at the following image*: What do you see? Our mental models may have us focus on the three identical shapes. Or they may have us focus on the three commonly heard phrases. Most people, however, will not notice that the articles in each of the three phrases are repeated. (If you did notice, congratulations! You’re in the minority.) Since we did not expect to see the articles repeated, most people simply don’t see the repetition. Intelligence analysts, Heuer explains, develop expectations about the motivations of actors in foreign countries. Evidence that fits those expectations tends to be easily assimilated, while evidence that contradicts those expectations tends to be ignored. These models are notoriously difficult to crack. Even when we are presented with evidence that invalidates the model, we are reluctant to give in. Instead of looking at the issue objectively from many viewpoints, we gravitate toward information that validates what we already believe. Look around and see for yourself. American discourse today is full of people making judgements from vastly different mental models. One side looks at the other and simply cannot understand why certain facts don’t sway their opinions. Because we do not want our opinions to be swayed. We want our models to be validated. And we will go through mental gymnastics to make it happen. In the next post we will look at a sample of techniques used in the intelligence community to break down these processes and make critical thinking live up to its name. *Image from “Psychology of Intelligence Analysis” by Richards J. Heuer. Do You Have to be Perfect to Get a Security Clearance? If a perfect human being exists, the U.S. Intelligence Community (IC) has yet to meet her (or him). That’s why the “whole person concept” is such an important part of the security clearance process. Brandie Schieb, Chief of Recruitment at the Office of the Director of National Intelligence (ODNI), says investigators are much more interested in lifestyle patterns than they are in any single activity or event. For example, if there’s drug use in your past or a criminal record, investigators will consider mitigating factors such as your age at the time, the severity of the offense and its likelihood of happening again. “[Investigators] understand people grow up, they mature, they go through college, so they’re not looking at one incident that doesn’t reflect someone in the best light,” says Schieb. For younger students who have an eye on working for the IC in the future, here are some proactive steps you can take now. Watch your words on social media: Publicly available information can be looked at by an investigator. Information posted years ago could still trigger questions during an investigation. Play it smart at parties: If you’re at a party where people are using drugs, use discretion, as illegal drug use is one reason that may result in a denial of a security clearance. Also, just because marijuana use may be legal in places like the nation’s capital, it is still illegal under federal law. Think about the company you keep: Investigators are going to ask about the people you surround yourself with and how you spend your free time. “It’s a reflection back upon how you make choices and whether you’re a trustworthy individual,” says Schieb. High, bad or delinquent debt: Investigators want to know if you live up to your financial obligations, which can translate to an overall picture of whether an applicant is good on his or her word. Mental health: Medical history is reviewed during the investigative process. According to ODNI, as long as a mental issue does not impact a person’s ability to use sound judgment, it should not be an issue. In fact, seeking medication or therapy to handle life stress can be seen as a positive factor. One of the things that can lengthen the clearance process timeline is having a lot of foreign contacts. So, if you studied abroad, for instance, and keep in touch with friends in that country, just remember to identify them on the security form, says Schieb. This includes Facebook and Instagram friends, because social media connections are considered “close and continuing relationships,” according to ODNI. While U.S. citizenship is a requirement to work for the Intelligence Community, many applicants have family members who live in a different country. Some may even be living in the United States as undocumented immigrants, which brings up another concern applicants ask about: the potential for deportation of their loved ones. In Schieb’s view, the risk for deportation is unlikely, but not guaranteed. “We hope it doesn't deter people,” said Schieb, adding that applicants who have undocumented family members bring a unique perspective to the table, which contributes to the diversity the Intelligence Community wants. Above all, Schieb’s best advice for applicants is to be honest and to be patient as the hiring process can take longer than a year to complete, depending on the applicant and the agency. 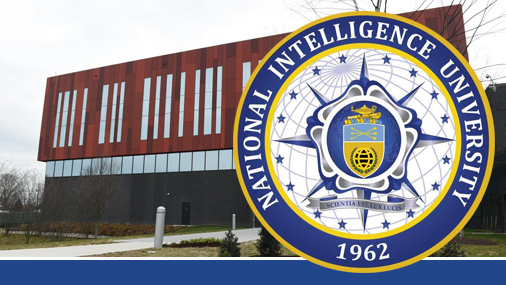 One of the perks of working for the Intelligence Community (IC) is the opportunity to attend the National Intelligence University (NIU), an accredited, degree-granting university dedicated to the theory and practice of intelligence. Graduates of NIU have gone on to become directors of the Central Intelligence Agency, National Security Agency, National Geospatial-Intelligence Agency, the Office of the Director of National Intelligence, and other high-level posts. NIU is also home to National Intelligence Press Publications, a publication house for in-depth regional analysis and methodological theory and practice. Recent publications include a fascinating look at how to understand adversarial intent through the analysis of foreign business and industry. Intelligence professionals who do not wish to pursue a degree or graduate certificate can take individual courses for professional development, earning continuing education credits. Graduate students can compete for research funds that will allow them to travel outside of the Washington, D.C., area to research their theses. Scheduling options include part-time, full-time and executive-style sessions. 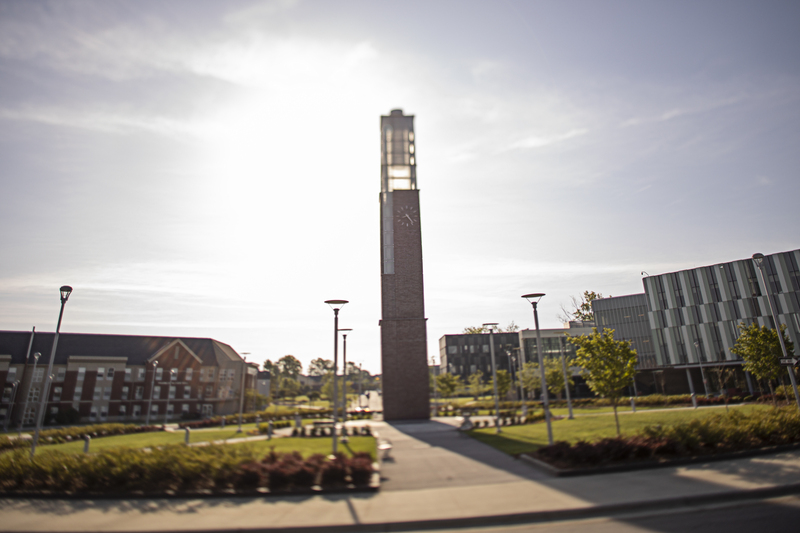 The university accepts transfer credits from other accredited colleges and universities, although all required core courses must be taken at NIU. Because the IC offers tuition support for both public and private accredited universities, the cost of NIU is nominal for IC employees. To learn more about this hidden gem of the Intelligence Community, download the 2017-2018 academic catalog, or visit NIU online. While we haven’t yet reached “The Matrix,” the world today is a complex array of digital information. That’s why cybersecurity is everyone’s business. The U.S. Intelligence Community (IC) leads the way in cyber operations. While not every intelligence agency is directly charged with a cyber mission, each contributes in some way to protecting U.S. assets and gathering intelligence on hostile foreign activities, including cyber activities. Learn more: NSA Digital Network Exploitation Analyst. Check ODNI job openings for future listings. The careers above are just a few of the hundreds of positions in the IC dedicated to keeping our nation safe. To see where your skills fit, visit our Careers page. We all love to have data and information at our fingertips, but nobody loves it more than cyber criminals who see a pot of gold at the end of every email stream. The scope of the problem was demonstrated once again with the data breach of Equifax, one of three major credit reporting companies in the United States. The hack exposed personal information on 145.5 million people, nearly a third of America. Data collected included names, birthdates, addresses, social security numbers and even drivers’ license numbers. The ramifications of this crime and others like it are startling: bad guys can use the data to open bank accounts and credit cards, starting a cascade of financial headaches for the victims. While the Equifax breach and ransomware attacks are motivated by money, other motivations take a political turn, such as state-sponsored hackers seeking U.S. government military secrets or international bargaining positions. Other bad guys are motivated by terrorist aspirations, such as attacks on electrical power grids or nuclear power sites. A handful of attacks are accomplished through a compromise in the design of technical systems. The perpetrators in the Equifax breach found a flaw in the design of a tool used to develop web apps, which allowed them to penetrate the company’s defenses. Equifax’s CEO said part of the problem was human error — an IT employee failed to update or patch a portal after being made aware of a security gap. The weak link in the chain is often attributed to human behavior. Social engineering — manipulating a user to expose data, known as phishing — is the No. 1 cause of attacks. Up to 90 percent of security breaches start as phishing attacks, either through email or text. The messages often direct users to submit information on spoof websites that look like legitimate commercial sites. If you get an unsolicited email, watch for spelling errors and bad English grammar. Many attacks originate overseas where the command of the English language may not be strong. If an unsolicited email urges you to follow a link, simply don’t do it. Check the link by hovering over it to see if it directs to a URL that makes sense. If you’re still not sure whether an email is authentic, and it comes from a company with which you do business, contact the sender directly by logging on to your account independently or by calling the phone number you have on file to speak with customer service. To avoid accidentally downloading a malicious payload, make sure your firewall and virus software is turned on and up to date. Finally, if you want to help protect yourself, your loved ones and the country you call home from cyber espionage and terrorism, consider devoting your career to the U.S. Intelligence Community. 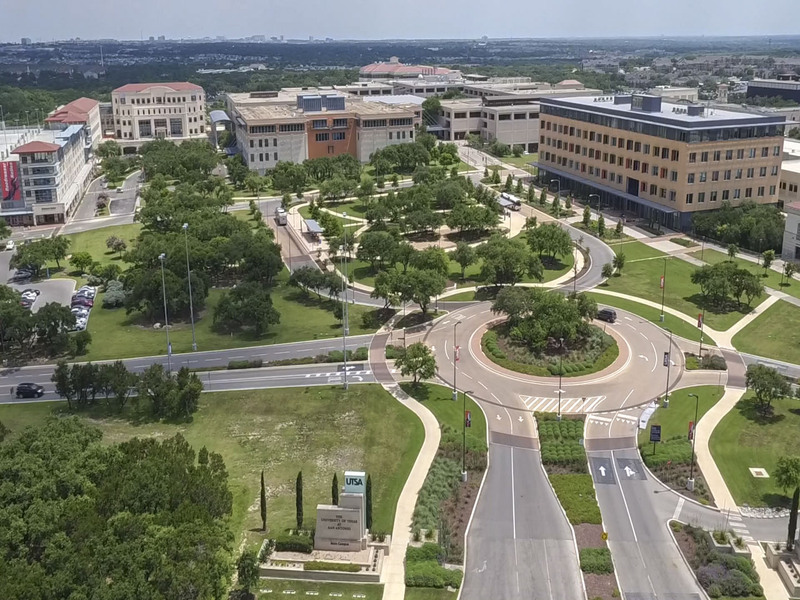 The IC is home to the most progressive cyber units studying the most advanced cyber theory and processes, all to avert persistent and highly dangerous cyber threats. In the next post, we will look at a small sample of cyber positions available in the IC. Until then, take a look at the IC’s outstanding benefits, and help defeat the bad guys today by practicing safe computing. Students! Apply Now to Kickstart Your Future! 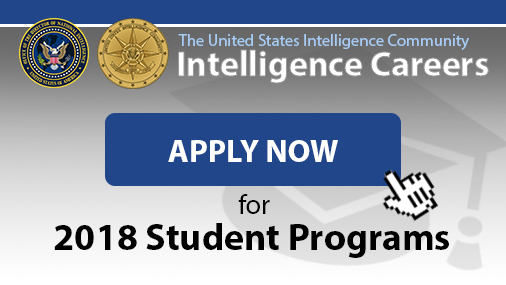 Participating in an IC student program is the best way to learn more about the IC and how your skills can help secure the safety and security of our country. Internships: These full-time summer positions are available for undergrad, graduate and Ph.D. students in a wide range of career fields. Cooperative Education: Co-ops give you the opportunity to alternate periods of full-time work with full-time education. At NSA, this program can last through most of your undergraduate years. Freshmen in their second semesters and sophomores are eligible to apply. Most opportunities are focused in STEM fields, but check your preferred agency for details. Fellowships: A few fellowships are available to Ph.D. students in STEM-related positions. High School Work Study: Juniors in high school can apply to work in the IC through school-sponsored work programs. Great Compensation: You’ll earn a salary, plus paid time off, including holidays and sick leave. That’s a pretty good deal for a college student at any level. In-Depth Learning: If you aren’t sure whether the IC is the place for you, there is no better way to find out. Don’t rely on hearsay or outsiders. Find out for yourself. Career Training: You’ll learn directly applicable methods and theory. No wasted energy. Invaluable Networking: Once inside, you’ll meet professionals in your career field who may be important contacts for your entire career. Visit our Students page for more information about specific opportunities and to learn more about specific deadlines. Hope to see you soon! Dr. Reeva Steele believes that people want to be able to make a difference at work, but they also want to be heard, seen and appreciated. And that’s where an Employee Resource Group (ERG) can make all the difference. Dr. Steele is chair of the National Security Agency’s Women’s ERG, a diverse group of women who meet monthly to share experiences, network, mentor and learn from each other, promote awareness of issues women encounter, and effect change. Groups within the ERG sponsor panels on topics like what it means to be technical at NSA and taking risks with one’s career. Working groups within the ERG examine issues like part-time work opportunities, work/life balance and psychological safety in the workplace. Group members also do outreach at elementary and high schools to tutor students and give them an idea of what technical careers are like. There are also opportunities for the 10 Employee Resource Groups within NSA to collaborate. The Women’s ERG has partnered with the African American ERG on a breast cancer awareness program, and got together with younger NSA employees in the NextGen ERG to talk about issues like maternity and paternity leave. NSA and the Women’s ERG hosted its first all-day International Women’s Summit in March with speakers, an author’s talk, workshops and panel discussions on topics like equality in the workplace, gender partnerships, starting lean-in workshops, taking a stand against inappropriate behavior, and external work opportunities like international and Joint Duty assignments. Starting in May, Dr. Steele, who works in leader and management development at NSA, planned to add a career development group and a formalized mentoring program to the ERG. She takes pride in seeing the women in the group “blossom, grow and connect” — and carry forward what they’ve gained in the ERG into the agency as a whole. Whether you're a fresh college grad or a seasoned pro, one of the best things you can do for your career is expand your skills. That includes building higher levels of expertise in your current profession or branching out to new fields of study. In the IC, you have the opportunity to do both. For those who want to expand their current skill base, training helps them keep up with evolving technology, processes and best practices. Managerial and program management training provides the skills needed to lead technical teams and climb the ranks in your chosen field. Others may become interested in occupations outside of their current profession, and training helps them prepare for a new field that may provide greater levels of personal fulfillment. Training: Internal classes, workshops, seminars and professional development programs provide busy professionals with an efficient way to gain valuable career skills. These on-the-job types of training require smaller time commitments than degree programs and are perfectly suited for busy professionals who aren't looking for another college degree. Tuition Assistance: For those with higher educational goals, the IC offers many programs to help you get another degree (bachelor's or post-graduate) without breaking the bank. College tuition is expensive, but some of the IC agencies may help you cover the cost, and in some cases even provides time off from work to study. Opportunities are available to study at nearby public institutions or even to attend the National Intelligence University for a more immersive experience. Mentoring: For those new to the IC, mentoring relationships can provide invaluable insight and guidance. 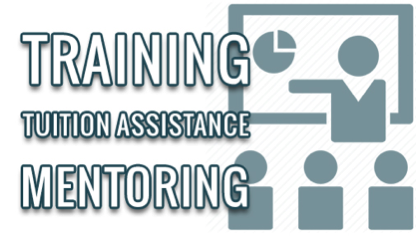 Mentoring programs are common among IC agencies, and these one-on-one relationships with an experienced IC professional will help you learn the ropes and make better career decisions. Taking advantage of one or all three of these opportunities will expand your skills and put you on a dynamic career path. To learn more, see our general benefits page and check the career development options of each agency: NSA career development, DIA career development, NGA career development, ODNI career development. If you’ve ever wondered how careers in the Intelligence Community (IC) compare to careers in the private sector, here’s the biggest difference of all. When you work for the private sector, your goal is to make a company successful. When you work in the IC, your mission is to keep the country safe. And that’s not an easy task. Our country faces untold numbers of threats every day. James Clapper, Director of National Intelligence, outlined those threats on Capitol Hill earlier this year during hearings on worldwide threat assessments. 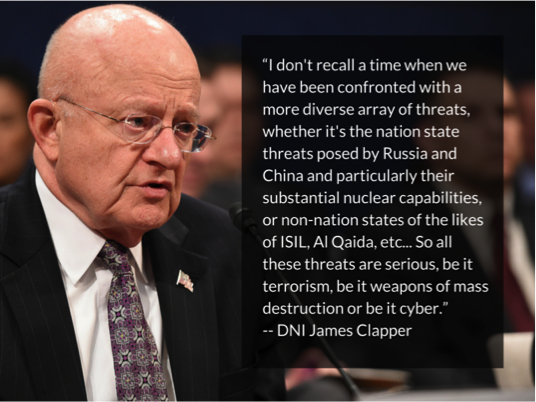 In his testimony, Clapper refered to the threats as a “litany of doom.” In 55 years of government service, he said, he has never witnessed a more diverse set of threats as we have today. From international terrorism and weapons of mass destruction to cyber criminals probing the Internet of things, Clapper said the threat environment is unlike anything that has existed before. Thankfully, employees of the IC are up to the task. Forward-thinking solutions are developed every day by innovative professionals who dedicate their careers to making a difference – a BIG difference. We couldn’t have said it better ouselves. Even though the smell of salt water and coconut oil are still fresh in your mind, NOW is the time to submit your application to the National Security Agnecy (NSA) for summer 2017 student programs. Even though the smell of salt water and coconut oil are still fresh in your mind, NOW is the time to submit your application to the National Security Agnecy (NSA) for summer 2017 student programs. 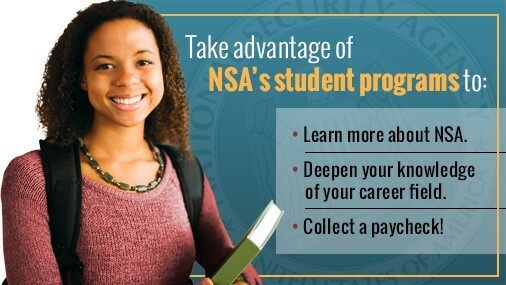 All NSA student programs are paid and housing costs are subsidized if you qualify. But many students who would love to intern for NSA never get the chance because they miss application deadlines. Unlike some private sector internships, coveted NSA internships go up for grabs almost a year in advance. So if you dream of one of those specialized cyber internships or co-op program spots, there’s no time to waste. Many student program application deadlines for next summer close in October. NSA has a wide range of exciting student programs for almost every career field. Looking for computer science, electrical engineering or cybersecurity? We have a ton of them. Foreign language, international affairs or global studies? Check. How about business, economics or mathematics? We’ve got it covered. Of course, successful completion of a student program makes it more likely that you’ll land a full-time job at NSA when you’re out of school, so the benefits continue for a lifetime. Check out all of our student programs on the NSA Student Programs page, and don’t forget to get your application in ASAP. Nothing in the IC application process causes more concern than the security clearance process. But we’re here to tell you, it’s not as bad as you might think. There are several things you can do before you apply for your clearance that will make the process much easier. Even if you’re a few years away from submitting your application, if you follow these tips now, you’ll be thankful later. Do complete the security clearance paperwork honestly and to the best of your ability. If you’re in contact with non-U.S. citizens, do keep a list of their names. When traveling outside the country, do keep an itinerary of your travels and record the names of people with whom you become acquainted. Don’t do drugs – this includes marijuana and prescription drugs that are not prescribed to you. Marijuana use may be legal in Washington, D.C., as well as several states, but it is still prohibited by federal law. Don’t disregard laws or commit digital misdeeds. This includes downloading illegal media or software. We need all the computer geniuses we can get, but unethical hacking is not a point in your favor. Don't abuse credit. A good credit report is better than a bad one. Don’t abuse alcohol. Underage drinking, excessive drinking or DUIs don’t look good on your record. Getting that clearance can take several months, depending on the agency, but a clean record and these common sense tips can give you a head start on your path to a career in the U.S. Intelligence Community. The effort to build a diverse workforce in the IC is less about philosophy and more about basic human decency. At least that’s how Defense Intelligence Agency (DIA) Director Vincent Stewart sees it. Stewart was joined by FBI Director James Comey and Director of National Intelligence James Clapper. Clapper told the crowd of roughly 1,000 that he was in the Air Force when the infamous “Don’t Ask, Don’t Tell” policy was adopted. “I am thankful that – as a nation – we have put that policy behind us,” Clapper said. Today, while the country grapples with transgender rights, Clapper says the Intelligence Community will lead by example. Let's face it: The Intelligence Community, a group of 17 U.S. intelligence agencies, is one of the most poorly understood groups in the United States government. Most people have little knowledge about what goes on behind those classified walls. The only information they do have is gleaned from Hollywood films that are far more fiction than fact. So where does that leave the college student or young professional who dreams about a career in intelligence? It leaves them with very few facts to make an informed career decision. And that’s what this new website is designed to address. 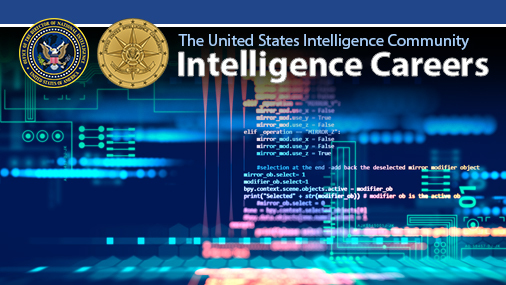 As the site grows, more U.S. intelligence agencies will participate, creating a growing, thriving online resource for careers in intelligence. Match your education, skills and experience to career fields in intelligence using the Job Exploration Tool. Find a student program perfectly suited to you with the student program search and customizable filters. 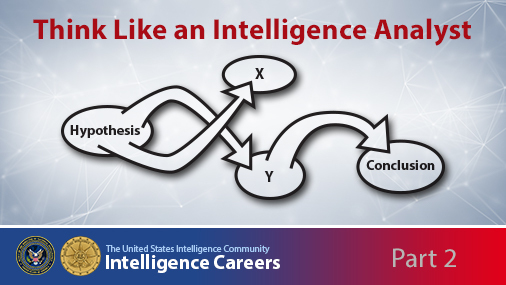 Learn more about the many Intelligence Community career fields, including general educational requirements, preferred experience and sample positions. Explore what participating agencies do, learn about their missions and their employment benefits through sections dedicated to each agency. Watch videos about participating agencies, read online brochures, connect through social links and download mobile apps through the resources section. Keep up with news and recruitment information through the news section and this blog. 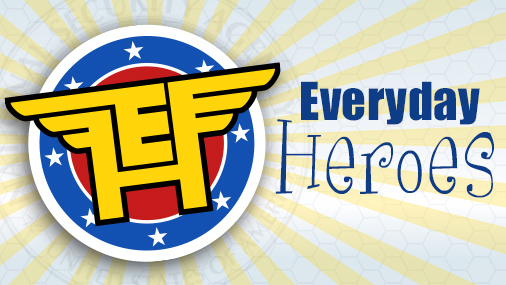 Stay tuned as we continue to refine the site and add more content. And, most of all, welcome to the U.S. Intelligence Community.